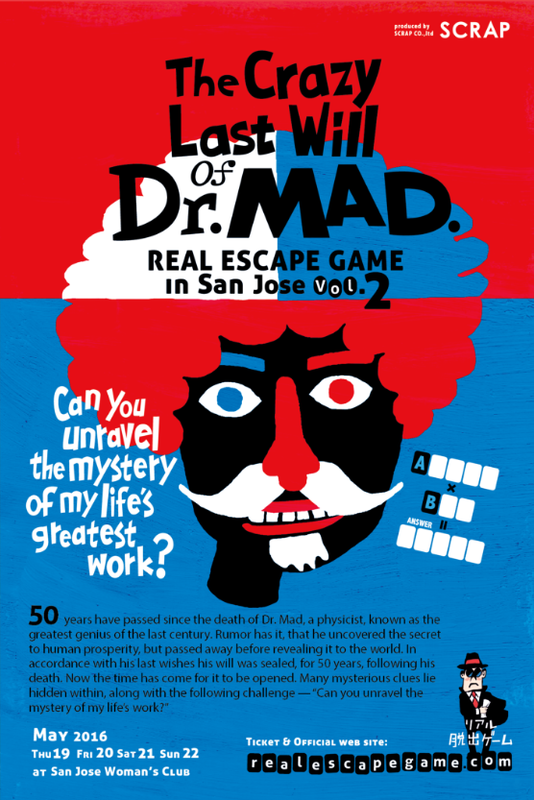 San Jose's second mass-escape game takes place this weekend at the San Jose Woman's Club in Downtown San Jose. Teams of six will compete to virtually escape a room by solving a variety of puzzles and riddles. Each team has 60 minutes to escape, and even if you don't escape you will get a full walk-through at the end. These events are a ton of fun and you will be talking about the game well after it ends. There are 13 different time-slots to choose from between Thursday the 19th to Sunday the 22nd. For more information and to book tickets, click here.